While he'll be using a different name this time, the former Chris Hero is headed back to PROGRESS Wrestling for one of their biggest weekend's of the year. 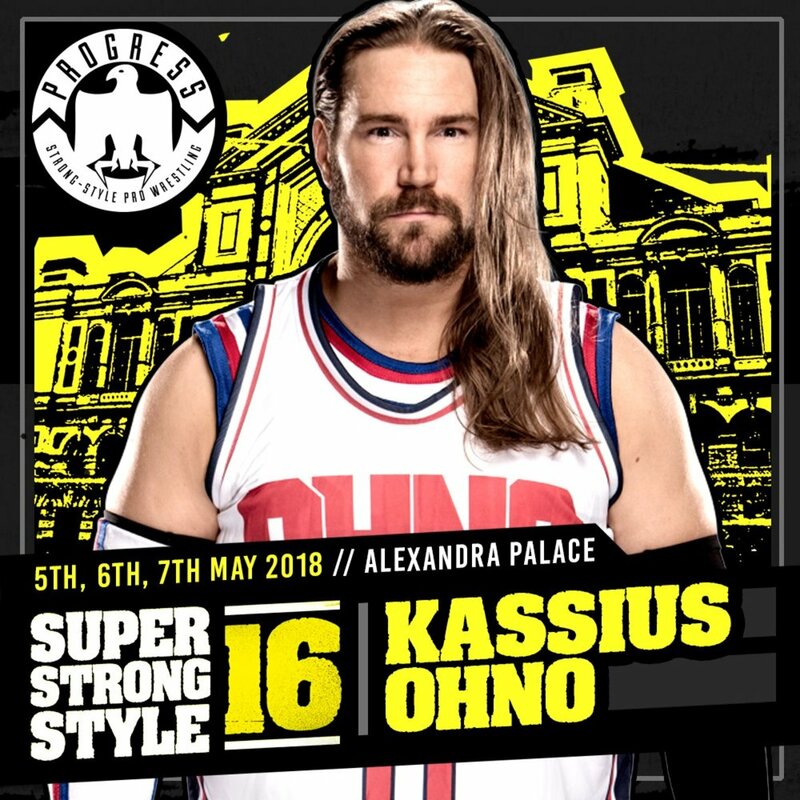 PROGRESS announced NXT's Kassius Ohno as the latest entrant for this year's Super Strong Style 16 tournament today. It will take place at Alexandra Palace in London on May 5-7, with the winner receiving a future title shot. As Hero, Ohno also appeared in the 2016 edition of Super Strong Style 16. He lost to Tommy End (now Aleister Black) in the semifinals. This won't be the first time that Ohno has wrestled for a WWE-friendly promotion since returning to NXT. He made an appearance for ICW last September and was defeated by Joe Coffey. With one more entrant still to be announced, Pete Dunne, Keith Lee, Zack Sabre Jr., Doug Williams, Angelico, Mark Andrews, Flash Morgan Webster, Chuck Mambo, Chris Brookes, Jordan Devlin, Joey Janela, TK Cooper, David Starr, Tyler Bate, and Ohno make up the field for this year's Super Strong Style 16. Travis Banks won the tournament in 2017 and went on to win the PROGRESS Championship from Dunne.